Some would argue modern meetings are getting longer and more complicated, with participants forever struggling with login credentials, technical challenges and other obstacles to success. In fact, the average business meeting is now 85 minutes long, and about 20 percent of that is consumed solving problems with the meeting technology itself. No wonder 70 percent of workers admit to bringing other work to their meetings. “We waste so much time just trying to start meetings,” said Nathan Coutinho, CDW’s director of digital workspace solutions, speaking at the CDW Enabling the Workforce SummIT. But that may be changing, at least for some organizations, according to Coutinho and other SummIT presenters. They argued that advanced technology has already arrived to make modern meetings faster and the meeting experience simpler and more elegant. To make their point, presenters demonstrated a typical meeting in today’s dysfunctional environment. With a timer running on screen, attendees watched as meeting participants sat idle awaiting the tardy meeting host to arrive. When he finally appeared, he struggled to start the meeting without his login credentials (which he’d forgotten, a surprisingly common problem) and then tried in vain to find the right cable to connect his laptop to a projector. Eventually, he gave up and emailed his presentation to all of his colleagues. But it doesn’t have to be that way. By placing the user — not the device or platform that a person is using to connect to the conference — at the centre of the experience, the modern meeting can look quite different. And delivering that modern experience is a crucial differentiator for companies seeking to attract and retain top talent. “The modern workforce wants things easy, productive and fast,” said Noel Oquendo, collaboration solutions manager for CDW. And thanks to consumer technologies like Netflix and Apple TV that deliver media experiences seamlessly with just a few button pushes, users have come to expect the same kind of experience at work. Survey users to understand the issues they’re having. Ensure that every endpoint in the meeting environment is supported (including workers’ personal devices). Choose the right technology based on how the organization works. Conduct plenty of testing with pilot groups of users. Ensure that the new solution is adopted throughout the organization. Contrasting the dysfunctional meeting with a modern meeting experience, Coutinho, Oquendo, and Rafael Silverio, a senior collaboration solutions manager for CDW, demonstrated how employees can connect quickly and easily using Polycom telecommunications equipment, Skype for Business and a Microsoft Surface Hub. There was no need for host authentication and the technology worked easily on their phones and tablets. But they stressed that the particular set of technology solutions that would be right for a business striving for a modern meeting experience will vary by that business’s circumstances. 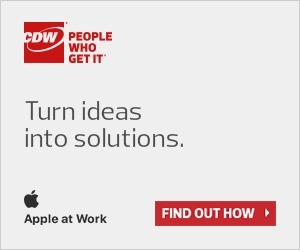 That’s why they encourage businesses to work with the CDW Solutions team to identify your organization’s collaboration needs and challenges and allow us to provide a detailed roadmap to success.